Keith Haring was, without a doubt, one of the most important figures in 20th century American contemporary art and, especially, New York art scene. From a very early age, the young Haring enjoyed drawing which eventually led him to a commercial arts school in his home country. 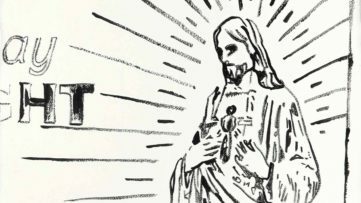 After realizing that he had little interest in becoming a commercial graphic artist, Haring dropped out and moved to New York where he was introduced to a whole new vibe, energy and atmosphere he never encountered before. There, Haring found a thriving alternative art community that was developing outside the gallery and museum system, in the downtown streets, the subways and spaces in clubs and former dance halls. It was just what he needed, new art scene and other talented artists that inspired each other. 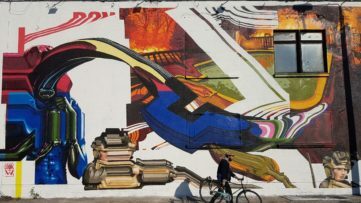 He quickly became friends with fellow artists Kenny Scharf and Jean-Michel Basquiat, as well as the musicians, performance artists and graffiti writers that comprised the burgeoning art community. He enrolled in the School of Visual Arts (SVA), which opened him doors of the world of performance, video, installation and collage, while he still remained committed to drawing. In 1980, Haring found a highly effective medium that allowed him to communicate with the wider audience he desired, when he noticed the unused advertising panels covered with matte black paper in a subway station. He began to create drawings in white chalk upon these blank paper panels throughout the subway system and, soon, every New Yorker noticed these seamless flow of images and heard the name of Keith Haring. 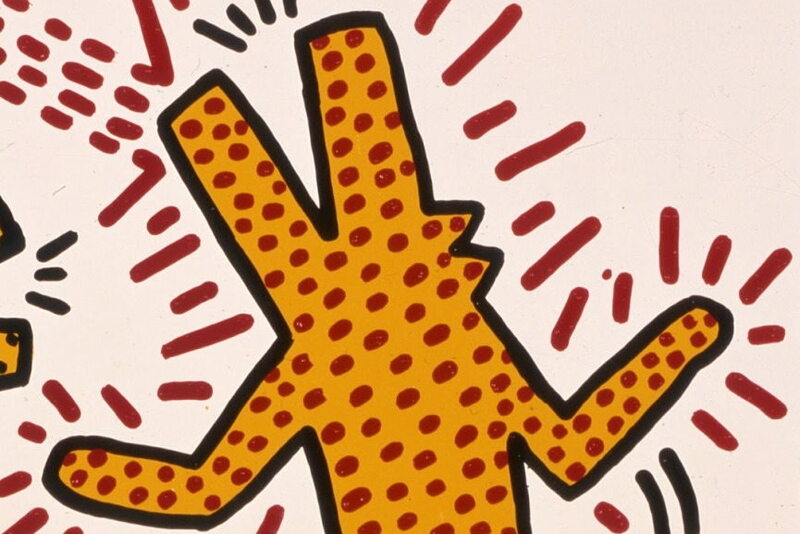 This is how Haring made his art socially engaging. He even got acquainted with Thierry Noir, took part in the demystification of the Berlin Wall and his art eventually became much more than this, it became philanthropic. He produced more than 50 public artworks between 1982 and 1989, in dozens of cities around the world, many of which were created for charities, hospitals, children’s day care centers and orphanages and, when he was diagnosed with AIDS in 1988, Haring established the Keith Haring Foundation with an aim to generate awareness about the illness. 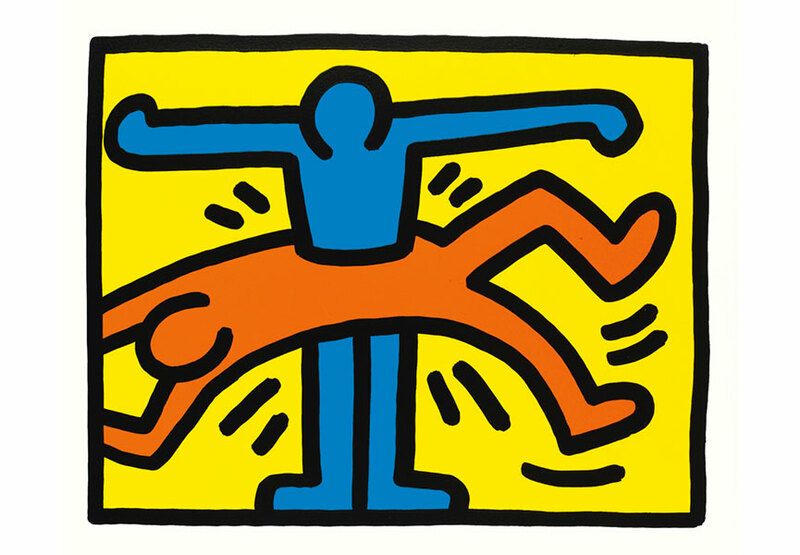 If we look back at amazing art legacy that Haring left and all the wonderful charity works he supported, we understand that Haring was much more than a fantastic artist. 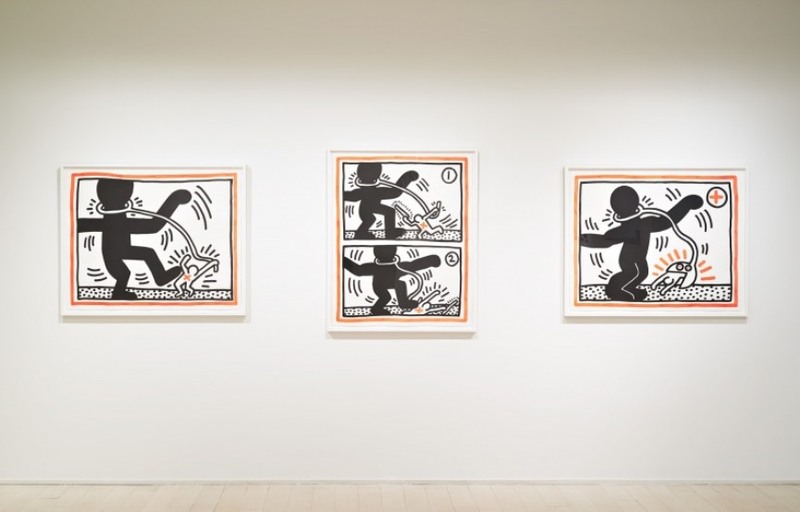 This is why almost 25 years after his death his work of art doesn’t subside and only in the last couple of months, many galleries around the worlds remember Haring through some amazing exhibitions. For these, and many other reason we couldn’t put in only one article, Keith Haring is our Artist of the Week! With the pumping collection for spring/summer 2014 Reebok decided to once again immortalize Haring’s iconic imagery as well as to remind the artist’s heavy involvement in the anti-drug campaign. The form of silhouettes stays the same while the content is of the late icon. 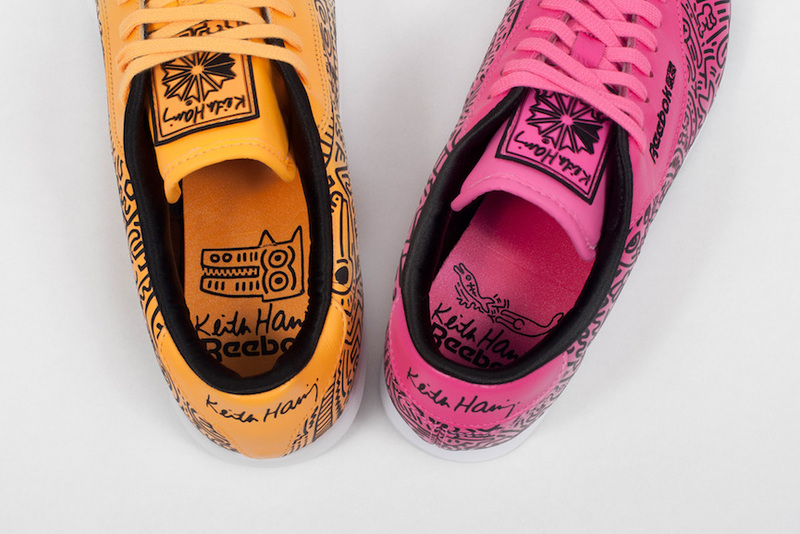 His famous “doodles” adorn the entirety of the upper combined with an array of orange, black and white and completed with a final touch of Haring’s signature and the famous slogan. This time collaboration brought us back to the 1980s when Haring was involved in the anti-drug campaign known as “Crack is Wack”, which was even the name of Haring’s mural composed of his signature contour-line figures and abstract forms. Opened November 14th, the current exhibition at Pace Prints in NY showcases a special selection of Keith Haring prints, some of which have seen the light of day for the first time. The visitors will also get the chance to see the largest print in the entire body of work of Keith Haring. Curiously, Keith Haring did not make many limited edition prints in his lifetime, and this is where Pace Prints come in, correcting the historical wrong. Ephemera, original drawings, designs and prints all surpass the number of limited edition prints in numbers, some of which are on show at Pace. The exhibition also includes several rare photographs of the artist’s creative process, in which he is shown making prints in different studios across the world. The exhibition will remain on view through December 24, 2015. Being one of the biggest politically and socially engaged artists, Haring had during his lifetime made numerous works with socially involved background. The Fine Arts Museums of San Francisco recognized this and announced a comprehensive exhibition by the artist at their de Young chapter, entitled Keith Haring: The Political Line, the first exhibition on the US soil to explore the political context of the artist’s oeuvre, encompassing his mixed media pieces, drawings, paintings and sculptures. Social justice and change for the better emerge here as the prime focus of Haring’s works, arranged in what promises to be an exciting installation. Opened November 8, the exhibition extends over more than 130 artworks of Keith Haring, from large paintings, to sculptures, collages and subway drawings, addressing all the subjects that obsessed and drove him to action, from nuclear disarmament, across social issues, to more personally involved problematics. To portray the depth of Haring’s social consciousness, the show will be complemented with ephemera, artist’s diaries, and other archival documents from his time. Exhibition at de Young museum will remaining on view through February 16, 2015, reminding of a short, but colossally significant life. 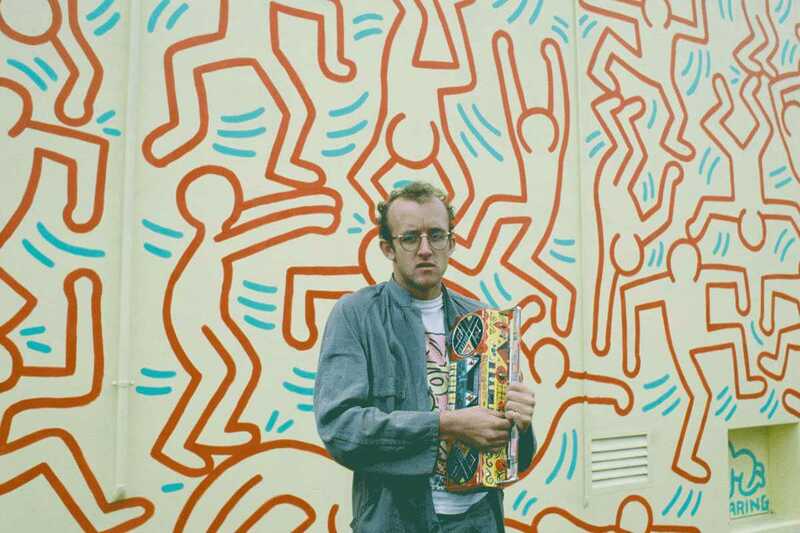 If you’re a fan of Keith Haring and would like to be the first to know every upcoming project regarding the artist, sign up for My Widewalls today! 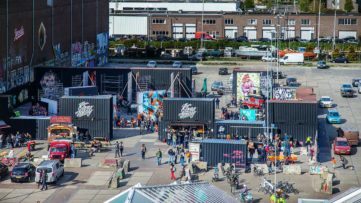 Kings Spray 2019 – Visit the Premier Graffiti Event in Amsterdam!